Once a haven of pure anarcho-capitalist rhetoric, LewRockwell.com has had to tone it down as of April 2014, in order to publish articles that people actually care about now that Ron Paul’s 2012 presidential campaign is long over. Where he once had 11-12 articles a day of the same tired, old anti-government rhetoric, he has recently had 4-7 articles a day on things that are more relevant to people than what Murray Rothbard or the same usual suspect anarcho-capitalist Mises Institute devotees have to say about events, past and present. Let’s buy cars on-line from the makers for much less, says Eric Peters. Paul Huebl on his unique education. David Brownstein, MD, on vaccinerica. Fascinating, but forgotten in history. How Good Are You at Problem Solving? Take this test for 15 year-olds. Is SoCal prepared for the “quake from Hell”? Margaret Durst on staying in the game, naturally. Can You Get Home in an Emergency? Be ready with a plan and these essential items. The 550 ft., half a billion dollar wheel in Vegas. If you want to lose weight. Oh, and be up by 7am. Can you Tell a Man’s Intelligence by Looking at Him? Were they real? Mike Jay looks at the history. A history of animal abuse in war. Brett and Kate McKay on how to store water for long-term emergencies. Is this ancient, jewel-encrusted Spanish goblet Jesus’s chalice? Like the Tank Man in Tiananmen Square, these deserve their place in history. Don’t, says David Brownstein, MD. To avoid the onset of Alzheimer’s. Article by Dr. Joseph Mercola. Pictures reveal how Marilyn Monroe kept herself in shape with weights and a high protein diet. 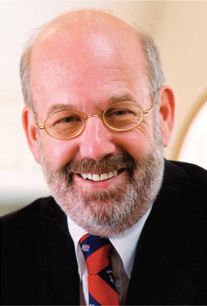 For more on Lew Rockwell, see my articles here.